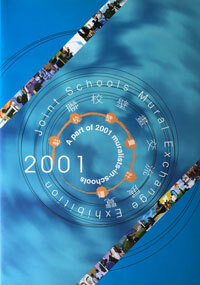 32-page exhibition brochure, published by Hong Kong Mural Society in Hong Kong, with an exhibition statement by Dr. Martie Geiger-Ho, featured artworks produced by 6 of HKMS's long-time core-member muralists. 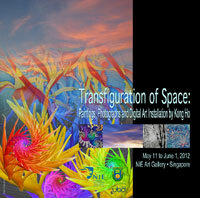 The exhibition was held at Hong Kong Visual Arts Centre in Hong Kong from March 7 to 14, 2014. 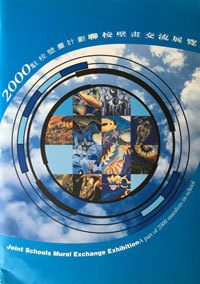 32-page artist's monograph, self-published in Hong Kong, with a foreword "A Reconciliation of Self and Nature " by the author, featured 29 Ho's paintings and prints. 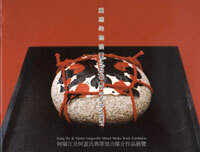 28-page artist's monograph, self-published in Hong Kong, with an artist's statement, featured 12 Ho's mixed media work. 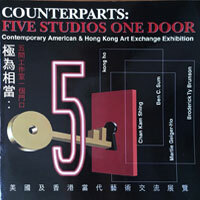 28-page artist's monograph, self-published in Hong Kong, with two artist's statements by Martie Geiger-Ho & Kong Ho, featured 12 Geiger-Ho's mixed media work & 8 Ho's mixed media work. 16-page artist's monograph/exhibition brochure, self-published in Brunei Darussalam, with an artist's statement "Transfiguration of Space: Paintings, Photographs and Digital Art Installation by Kong Ho, Part One: The Timeless Moments and Part Two: The Spaceless Places" by the author, featured Ho's paintings, photographs, digital art and video installation clips. 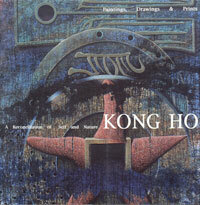 48-page artist's monograph, self-published in Hong Kong, with a foreword "Taoist Void and Buddhist Smile: The Art of Kong Ho" by the author, featured 14 Ho's paintings. 20-page exhibition brochure, self-published in Brunei Darussalam, with a project statement "Transcending Culture and Space: A Community Art Project" by Prof. Kong Ho & Dr. Martie Geiger-Ho, a mural statement "The Story Behind Transcending Culture and Space Mural," and an artist's statement "Timeless Moments & Spotless Places" by Kong Ho, featured Ho's paintings, photographs, and digital art. 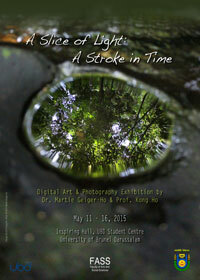 40-page exhibition brochure, self-published in Brunei Darussalam, with an exhibition statement by Dr. Martie Geiger-Ho, an artist's statement "A Slice of Light: A Stroke in Time," by Prof. Kong Ho and an artist's statement "Seeing Ulu Temburong Through My Third Eye" by Dr. Martie Geiger-Ho, featured both artist's photographs and digital art prints. As a teaching artist for more than 25 years and a muralist for 18 of them, I consider myself to be a good source of "archived" experiences that I can share with others, who might find them beneficial. Like all of life's experiences, some of my anecdotal encounters might come off as amusing or, conversely, fraught with emontional turmoil. 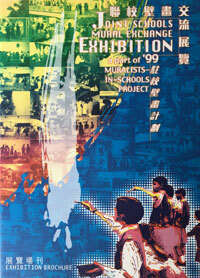 Kong Ho's inclusive and impressive into community murals and the role of teaching artist can be divided into two parts. In the first part, the reader is introduced to the founding history and early community mural projects of Hong Kong Mural Society, co-founded by Kong Ho in Hong Kong in 1997. 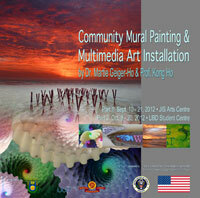 The second half of this book presents the impact of community mural on community in terms of educational, social, cultural, historical and technological contexts through his Fulbright Scholarship in teaching mural painting in Bulgaria and his recent community mural projects in Brunei Darussalam. 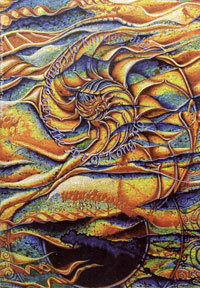 Preface is written by Nick Jaffe, chief editor of Teaching Artist Journal and coauthor of Teaching Artist Handbook. Ho, K. (2016). Larger than life: Mural dreamscapes. Parker, CO: Outskirts Press. 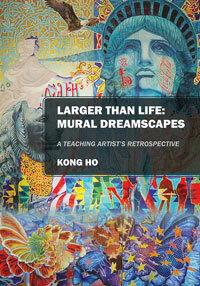 As a teaching artist for almost three decades, Prof. Kong Ho recalls his art experience in the form of a memoir. This book explores his retrospective study into his transcendental paintings and why he chose to write a personal memoir. This book is divided into two parts. In the first part, Ho presents the reasons behind writing a narrative memoir derived from his art making story and nostalgic feelings. The second half of this book discusses the influence of a Taoist-Buddhist perspective on his art as well as the tracing of his art awakening experiences. Ho's insights into his spiritual art and the meaning of writing a personal memoir are unique because he presents them as academic artistic research. The aim of this artistic research is meant to highlight the value and impact of a personal memoir on an individual is artistic endeavours. An artist’s memoir, like an artist’s statement, which elaborates the intent of individual artist’s work. The memoir presents the inner thoughts of the artist. The narrative aspect of memoir is drawn directly from the memory of individual. This book will also examine how individuals constantly reconstruct their memories when writing a memoir. Preface is written by Drake Gomez, professor, visual arts program, Keystone College, La Plume, Pennsylvania. Ho, K. (2016). 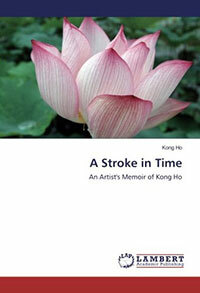 A stroke in time: An artist's memoir of Kong Ho. Saarbrucken: Lambert Academic Publishing. 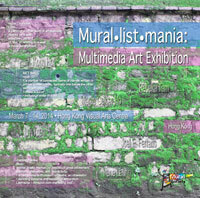 28-page exhibition brochure, published by Hong Kong Mural Society in Hong Kong, with an exhibition statement by Dr. Martie Geiger-Ho & Prof. Kong Ho, featured artworks produced by 5 of HKMS's core-member muralists. The exhibition was held at UPV Art Gallery, University of Philippines Visayas inPhilippines from March 1 to 31, 2017. 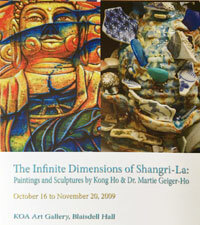 Exhibition brochure with artist statements by Dr. Martie Geiger-Ho & Prof. Kong Ho, featured paintings and sculptures of two artists. 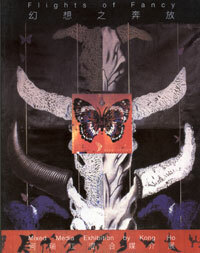 The exhibition was held at KOA Art Gallery, University of Pittsburgh at Bradford in Pennsylvania from October 16 to November 20, 2009.